The new versions are available for download on Downloads page. The latest version is available for download on Downloads Page. Integrated new Artisan 3D Rendering module to ActCAD. Artisan Renderer is now available along with ActCAD software at no extra cost. All new PDF printer with best possible resolution and high quality PDFs to support Gradient hatches. Totally Revised and Redesigned User Interface with new Ribbon Tabs, menus, toolbars etc. The new versions can be downloaded from this Downloads Page. We strongly recommend our existing customers to totally uninstall the old version and reinstall this new version manually. Please contact us on "support@actcad.com" for any technical assistance. The new versions are available for download from our Downloads Depot. Existing users can simply run CheckForUpdates command to apply latest patch automatically. The new versions are available for download from our Downloads page. Existing ActCAD 2019 uses can use CHECKFORUPDATES to automatically apply the latest maintenance patch. The latest versions are available for download from downloads section. Existing ActCAD 2019 users can use Check For Updates command to update this latest patch. The new versions are available on Downloads page. Existing users can simply type Check For Updates commands in ActCAD to automatically apply the latest patch. In addition, we have added alternate server for ActCAD Downloads and increased the trial period to 30 days to enhance user experience. At ActCAD, we continuously strive to improve our features and performance. The latest versions are available for download from our download page. New ActCAD 2018 versions (with IntelliCAD 8.4a) are available now in our Downloads section. Existing ActCAD 2018 users can update to this latest version by using CheckforUpdates command or from Help menu -> check for latest version. Many important bug fixes and improvements. Support for 2018 .dwg & .dxf files (need to use ActCAD Converter). Native 2018 file support will be available soon. For any further information feel free to contact us on "support@actcad.com". Existing ActCAD 2017 users can use CHECKFORUPDATES command to directly update to this version from any previous version. New users can download latest ActCAD 2017 software versions from our downloads depot. Fixes to few performance related issues. Version revision of ODA Teigha libraries to latest. New versions of ActCAD 2018 are available for download in our Downloads section. Existing 2018 users can update to latest versions by clicking on Help Menu > Check For Updates (or by using CHECKFORUPDATES command). New versions of ActCAD 2018 are available for download in our Downloads section. Existing 2018 users can update to latest versions by clicking on Help->Check For Updates (or by using CHECKFORUPDATES command). Feel free to contact us if you need any further information about our products and services. Few improvements on speed, performance and settings. All new CUSTOMIZE Dialog box with many powerful features for UI customization. Improved redraw performance when creating and updating entities in a drawing that has a large number of existing entities. Introduced Drawing Customer Properties Features to view, edit and create new custom properties in .dwg files. Running ActCAD on a 4K monitor and switching between monitors with high resolutions is greatly improved. All New Quick Leader Command. All New Multi-line Leader Command. All New Select Similar Command. The entities with properties that match are then added to the selection set. The new Explode Attributes command un groups blocks, creating separate entities for each element and converting attributes to text. The new Get Selection command selects all entities in a drawing that match both the layer of an entity you select and the type of an entity you select. The in-place Multiline Text editor now supports line spacing, lists, and paragraph justification. Use the new Explode Text command to break multiline text and single-line text into polylines. The new Auto Number command adds numbering to text, multiline text, multi-leaders, or block attributes. New Filter option for the -LAYER command. Introduced New System Variables : BLIPSIZE, IFCOSNAP, MLEADERSCALE, SELECTSIMILARMODE, SNAPSIZE, UOSNAP. Several fixes for opening and saving specific drawing files. WMFOUT fixed for solid hatches. Fixed issue with text styles that used substituted fonts. Several fixes for stacked text. Fixed print stamp issue when entities are assigned a non-default color. DCL: Fix for dlg_set_tile() / dlg_get_tile(). Several fixes for working with the in-place multiline text editor, including: lost italic setting, underline and overline, SHX fonts, and more. Fixed Increment/Decrement button when defining blocks. Fixed issue with the OLEHIDE system variable. Several fixes for working with hatches, including an Add option fix and preserving color when editing. Several fixes for the Find command. Snapping while grip editing 3d polylines now respects OSNAPZ. Fixed crash issue when using CUTCLIP with a rectangle. Fixed viewport display of entities with transparency. Fixed issue with joining lines and polylines. Fixed several issues with trimming and extending lines. Fixed specific crash issue when working with angular dimensions. Fixed issues related to working with entities in NWUCS. Regeneration issue with PDF underlays during zoom/pan has been fixed. 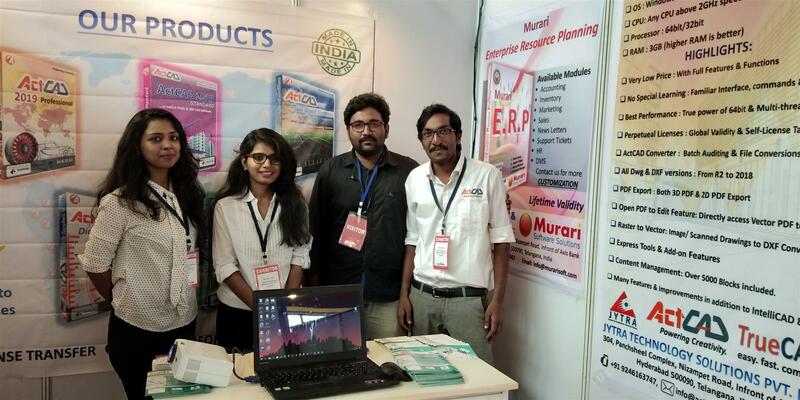 Feel free to contact us if you need any furhter information about our products and services. Added : New drawing creation dialog with many options to choose units, templates etc. Added : New dedicated UNITS dialog with complete functionality in addition to former DDUNITS dialog. Added : Several new Drawing templates in both Metric and Imperial units. Existing ActCAD 2018 users can use CHECKFORUPDATES command to directly update to this version from any previous version. New users can download latest ActCAD 2018 software versions from our downloads depot. Fixed : Ability to set a layer for print stamp, fixed print stamp color setup. Fixed : [Crash] Open a drawing from startup wizard in SDI mode. If customer owns ActCAD 2018 Professional license, the same key can be used to Activate any previous ActCAD Professional version say 2017/2016/2015 including 2018. Similarly, if customer owns ActCAD 2017 Professional license, the same key can be used to Activate any previous ActCAD Professional version say 2016/2015 including 2017. However, Professional license will work only on previous Professional versions, Standard license will work only on previous Standard versions. The version can be changed anytime by customer using our LicenseTranser command. There is no need to contact technical support for any of the above actions. Fixed - [HANGUP] 100% cpu hangup in command bar on entering comma (,) symbol. Existing 2017 users can update to this latest version by using on CHECKFORUPDATES command. New users can download this latest version directly from our Downloads section. Existing 2018 users can update to this latest version by using on CHECKFORUPDATES command. New users can download this latest version directly from our Downloads section. Add your own drawing files to Block Libraries for reuse. No need to reload each time, just one pasting of drawing files. New ActCAD 2018 versions are now available for download in our Downloads page. Added - All New ActCAD Block Libraries, over 5000 symbols included for Civil, Mechanical, Electrical, Architecture, P&ID etc. There are more than 300 improvements and fixes in this release compared to our previous ActCAD 2018 versions. It includes performance improvements, fixes for natively working with .dgn files, printing fixes, editing fixes and many more. Also included are enhancements to the new in-place multiline text editor that was released last year, including paragraph alignment, symbols, alt-codes, stacked text, numbered lists, and unnumbered lists. Significant performance improvements for snapping to PDF underlays (complete code refactoring in this area). Fixed performance issue for window selection. Fixed performance issue when drawing lines with multi-threaded turned on. Fixed scenario where performance was degraded during selection and snapping. Exporting to a .pdf file was fixed for exporting drawings that contain extremely large images. For versions of IntelliCAD that support opening and saving .dgn files natively, several issues were fixed, a few new markup features were implemented to support .dgn files such as the -STYLE and 3DFACE commands, and the LWDISPLAY, TEXTSTYLE, and VIEWSIZE system variables now work with .dgn files. Several fixes for editing entities when using the Properties pane. Several fixes for editing entities when using grips, including moving grips when ORTHO turned on, for polylines, and for multiline text. Fixed the ERASE command for blocks on frozen layers and layers that are turned off. Fixed ability to convert a field to text. Fixed display of text with UFDOT.SHX font. Fixed issue when using the STYLE command with incorrect values for vertical text. Several fixes for working with multiline text, including working with paragraph alignment, symbols, alt-codes, stacked text, numbered lists, and unnumbered lists. Fixed printing of certain Chinese text. Fixed print orientation when printing to HP DesignJet 430. More resolutions are now available when publishing to Web JPG PC3. Fixed number of copies setting when using the Publish command. The NetLoad command was renamed to NetLoadVSTA, and the NetLoadClassic command was renamed to NetLoad. Several fixes for the Pyramid command. Fixed justification of data extracted using the ATTEXT command. Reworked dialogs to improve crash handling. Fixed scenarios where the user interface was not scaling properly according to screen size. Fixed chain filleting of solids. Several fixes for working with hatches in the Hatch dialog box. Fixed the Render commands when using the 'Maintain Aspect Ratio' option and also fixed rendering materials attached to faces of meshes. The new software versions are available in our Downloads section. Feel free to contact us on "info@actcad.com" for more details. Improved - ActCAD Aliases like B, AP, ARR etc. 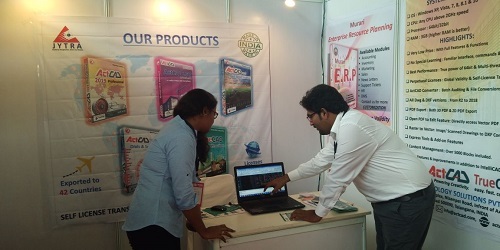 Feel free to contact us if you need any information related to ActCAD Software. Added : Several new resolutions to JPG and PNG Image printers. Fixed - Chamfer and Trim error if coordinates are too far. Easily save workspaces by clicking Workspaces in the status bar and choosing Save Current As. The Drawing Settings command has improved user interface that uses tabs instead of drop-down lists that were used previously. Major LISP upgrade (VL*, VLA*, VLAX* functions). Many new LISP/VLISP functions added. System Variables : Added or updated: DTEXTED, GFANG, GFCLR1, GFCLR2, GFCLRLUM, GFCLRSTATE, GFNAME, GFSHIFT, MDISTYLE, MTEXTED, TEXTED, TEXTEDITMODE, XCLIPFRAME. Several fixes for working with the new multiline text editor. Fixed specific drag issue for multiline text. Fixed display of text during insertion when rotation angle is greater than 0. Fixed issue with annotative text styles. Several user interface fixes made to the Text dialog box. Fixed issue with dimension style overrides. Fixed crash scenario when editing a dimension style in IntelliCAD Explorer. Fixed document name to contain layout name when using the Publish command. Fixed issue with saving print stamp settings. Fixed issue when exporting all layouts to PDF. Fixed issue with 3D Hidden and Realistic visual styles when exporting to PDF. Fixed issue when exporting non-ACIS entities to 3D PDF. Fix for .NET C# code inserting images. Fix for lisp (vl-sort nil \'<). Fix for menu lisp files that only loaded when the menu was first loaded. Fix for VBA ColorMethod method. Many improvements made for running IntelliCAD on 4k displays. Several fixes for working with .dgn files. Fixed specific crash when using COPYCLIP and PASTECLIP with some 3D entities. Several fixes for editing entities with the Fillet command. Improved speed with converting certain .dwg files to .dgn files. Fixed color issue with certain solids. Fixed issues reported rendering with Artisan. Fixed 3DORBIT with set rotation point in UCS. Fixed .mnu export/import issue for toolbars. Fixed issue with leader creation. Fixed LENGTHEN when working with circles. Several fixes for selecting entities using grips, including displaying grips after editing and memory issues. Several fixes for perspective mode view. Improved Dr.KLN Converter for better handling of fonts embedded in Vector PDF Files. The latest software is now avaialble for download on our Downloads page. Existing ActCAD 2017 users can directly update to this patch by clicking on Help Menu -> Check for Updates. The latest Full Versions of ActCAD 2017 can be downloaded from our Downloads Page. 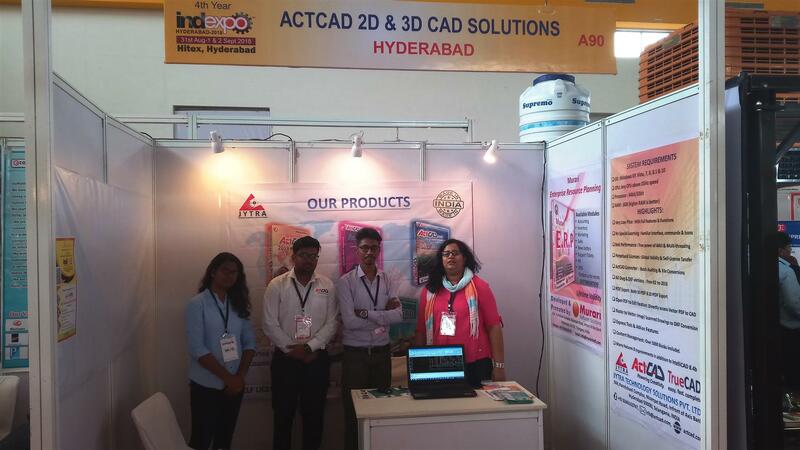 ActCAD is Professional grade 2D drafting and 3D modeling CAD software based on most latest IntelliCAD 8.2a engine and ACIS 3D Kernel. ActCAD has many add-on features and commands on top of regular IntelliCAD including Express menu. 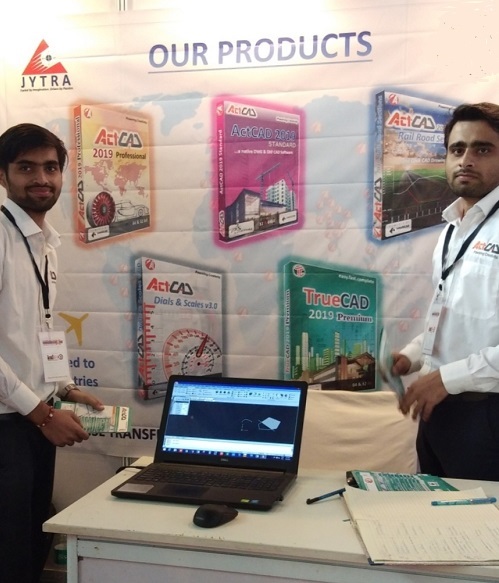 ActCAD offers unique user-friendly Licensing system with Self-License transfer. All ActCAD Licenses are globally valid and are perpetual. From inside ActCAD 2016 you can go to Help Menu and click on Check for Updates to download and apply the latest patches automatically. Feel free to contact us on support@actcad.com for any further information. The latest Full Versions of ActCAD 2017 can be downloaded from our Builds Depot here. Dr.KLN Drawings Converter vector PDF files and postscript PS files to various other formats like DXF, HPGL, SVG, PPTX, TXT, PCB etc. There are few improves and bug fixes to the source codes and released new versions in both 32bit and 64bit. Dr.KLN Drawings Converter is available in ActCAD Professional Version. The new versions are available in our Builds Dept at this link.